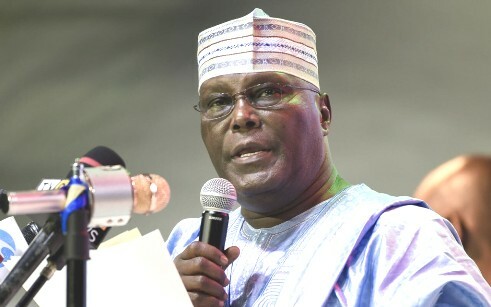 LAGOS MARCH 19TH (NEWSRANGERS)-In a rush to beat the 21 days deadline provided by the Electoral Act, lawyers to the presidential candidate of the Peoples Democratic Party, PDP, Alhaji Atiku Abubakar, on Monday evening, stormed the tribunal to lodge a petition against President Muhammadu Buhari. Under section 134 of the Electoral Act, 2010, any candidate that was dissatisfied with the outcome of the presidential contest, was mandated to approach the tribunal with a petition, not later than 21 days after the result was announced, a deadline that will expire on Tuesday. While the tribunal must deliver its judgment in writing within 180 days from the date the petition was filed. The tribunal will be conducting its proceedings at the Court of Appeal headquarters in Abuja. Though Atiku had yet to arrive at the tribunal where he is expected to personally depose to an affidavit, however, some chieftains of the PDP, including its spokesman, Mr. Kola Ologbodiyan and Alhaji Buba Galadima, accompanied the lawyers to the tribunal. Addressing newsmen, National Legal Adviser of the PDP, Mr. Emmanuel Enoidem, revealed that Atiku would be seeking two principal reliefs at the tribunal. He said the first relief was for an order declaring him as the bona-fide winner of the 2019 presidential election. In the alternative, Atiku and the PDP, are urging the tribunal to nullify the February 23 presidential election on the premise that it was marred by irregularities. “We asked that our candidate who won the election massively across the country be declared the winner. “In the alternative, we also asked that the election be set aside on the ground of irregularity which was apparent across the country.